It’s been a lot said about what is live streaming and why we should take it seriously. In case you continue to doubt the power of this technology, ask yourself (and maybe a couple of your friends) what would you personally find more interesting — a textual blog post about an event or a real-time shooting right from the setting? Or would you rather read about Coldplay’s live concert or watch it with the behind-the-scenes access? 80% of internet users prefer the second option, as livestream.com reports. And we totally get them: nothing excites us more than a fair insight into an event that a live video streaming gives to the audience with its raw, uncut footage and ongoing communication with viewers. But what are the tools & techs behind live video streaming? What does it take to join this billions-worthy industry by, let’s say, launching a video streaming app? Cutting out all the fluff, this article is going to focus on the technology stack needed for development of a live streaming application. 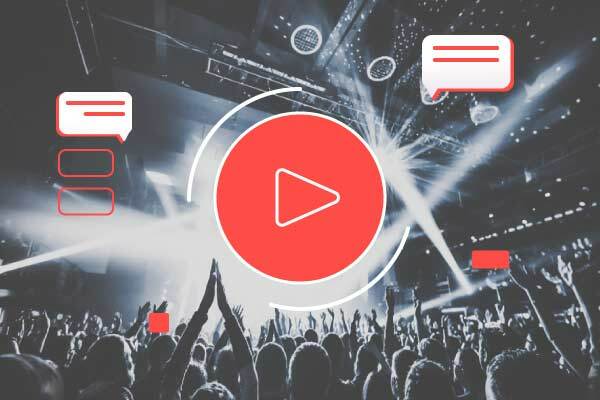 In case you’d like a more general overview, check out our best practices for building a live streaming app to start with. After you have formulated the basic essential for any video streaming app, it is time to brainstorm the unique components that would distinguish you from the crowd of competitors. To make your product outstanding, it has to give users something they’ve never had before. It is up to you and the capabilities to decide what would that be: unlimited cloud storage to save the streams aired, multicam streaming, schedule of upcoming broadcasts with real-time updates, streaming video in 4k, save a stream to watch it later or offline, etc. Try to look at the currently available live video apps and detect what hasn’t been done in this field before. As you get an image of the problem your future app can solve, you are good to go exploring the technical details. a transport that moves the info from server to player — real-time messaging protocol (RTMP). Essentially, the source (a streamer) sends the audio and video data to the encoder via mobile network or mobile connection. When talking about encoder, it is important to distinguish the two terms: the actual encoder and the encoding software. While the first one is a physical device (which can be a personal computer or a specifically dedicated server), the second one is the program installed on for data compression. Encoder uses video codec technology to compress/decompress the broadcast. The most spread codecs include VP6 and H.264. Youtube Live currently supports only H.264 (also known as AVC or Advanced Video Coding) codec for streaming, since this innovative codec allows to air HD videos due to smaller size of the files after compression. Audio gets compressed and decompressed just like the video, and the most frequently used audio codecs are AAC and MP3. After the data is compressed and re-formatted into online video file (most frequently .flv or .fl4 file resolutions), encoder transmits it to the CDN through an RTMP connection. 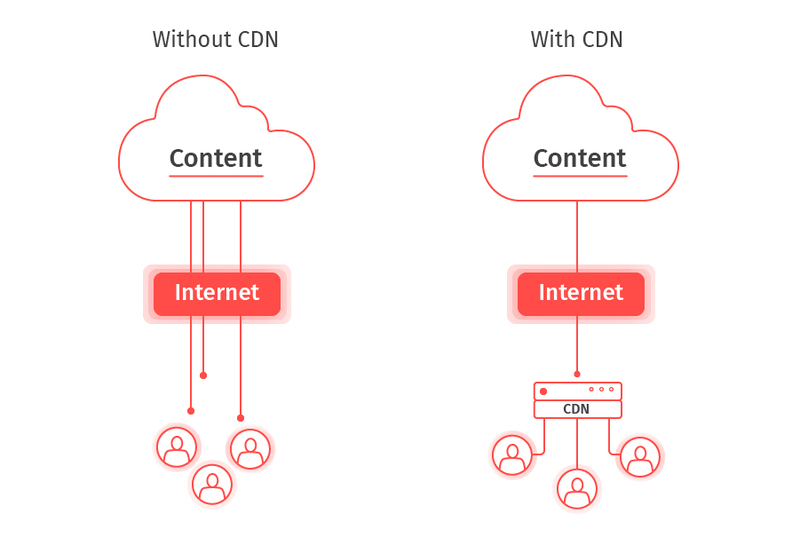 CDN stands for content delivery network, which is basically a system of servers that deliver web content to the users basing on their geographic location and the spot where streaming source is located. CDN then generates the playback URL and distributes the traffic to users through it. A player that viewers use to watch the stream pulls the playback URL from CDN and distributes the stream on the users’ devices. Such players as Youtube Live Player automatically pull the playback link when a featured creator initiates the stream, while custom players (delivered from scratch) needs to be instructed on which playback link to pull for a particular video. Each of the aforementioned steps is closely dependent on stable internet connection. The video and audio captured on camera and mic get compressed and encoded into formats suitable for real-time distribution. Encoded bits make it to media containers. Transporting protocol delivers the containers to media player for users to watch. MKV — open source format, free to use, includes diverse set of extra features. MP4 — supported by the vast majority of devices, became popular because of Apple. AVCHD — gears to the compression power of H.264 and supports 3D video files. AVI — used to lead the digital market, but lost its position to higher compression formats. WMV — was developed for streaming media clients by Microsoft, yet has a drawback of low compression among others. MOV — was developed for storing feature-length films. FLV — container video file format commonly used for streaming. Note, that it’s not compatible with iOS devices (iPhones and iPads). SWF — flash multimedia file format by Adobe. Not supported by iOS hardware either. A separate word should be said about AVC (also known as H.264) — the most innovative video compression standard that assures quality in low bitrates comparing to other formats. or the video can be delivered to the intermediate storage first (server platform) and then be distributed to viewers for watching, saving or repurposing the content. The first case makes the video extremely short-lived, for example if a particular viewer cannot watch the stream when the creator airs it, there would be no chance to rewatch it later due to the fact the stream is not stored anywhere. Meanwhile, the second option allows the users to have an ongoing access to streams (usually limited in time) and watch interesting videos regardless of the personal schedules. This adds to positive user experience and eliminates the risks of video streams to become an dismissed way of digital communication. If you want your app to be a noteworthy market player, then consider the integration of the live streaming platform in it. Find the more detailed overview of platforms with video broadcasting functionality below. A ready-made video streaming platform integrated into a brand new app is a great option for a potential launch. An already running platform for digital streaming has such valuable benefits as developed server network and ongoing technical support. Not to mention this would save a plenty of time allowing to release the product sooner. Financial aspect of integrating a video platform into an app is also quite beneficial; although such platforms are paid options, their costs are lower than a from-scratch development of a custom video streaming solution. Flashphoner. This is a provider of real-time web video and audio communication. Supports numerous streaming and playback platforms (Chrome, Firefox, Opera, Safari, Android & iOS SDK, etc.) and broadcasting technologies including WebRTC, Flash, RTMP encoders, websocket, and HLS among others. This full-cycle streaming service also provides the feature of two-way streaming — a process of publishing one stream, while another is airing, from the same webpage. You can collaborate with Flashphoner on a subscription basis for $75 a month or get a stand-alone license for $1995 per server. Brightcove. This integrated video platform is amongst the market leaders due to its versatility and rich feature set. Brightcove provides full-cycle video delivery, HTML5 players, data-driven analytics, plenty of monetization options, and even various plans for creators, businesses, and sports. 30-day free trial available. Livestream. This is a cloud-based video platform that claims to be an all-inclusive live streaming solution for websites, applications, social channels, etc. They provide HTML5 player, cross-platform analytics, OTT subscriptions for monetization, in-app chat, and plenty of other features. Prices start from $75 monthly for smaller organizations or featured creators to $999/month for larger businesses. Currently, Livestream is frequently used for professional streaming of events due to high-quality broadcasts it delivers. Contus VPlay. This platform is famous for its video on demand services, although they have a live streaming suite as well. Contus uses Amazon Web Services™ hosting, which is considered to be one of the most trusted ones, and partners with Amazon Elastic Compute Cloud and Wowza streaming engine to distribute live video. The feature set delivered by this platform is diverse as well: user registration, built-in subscriptions, monetization, ads, exclusive paid streams, AES encryption and DRM as cybersecurity matters, social media integration, and HTML5 player among others. DaCast. This service provides users with video content management system, player API, and dedicated technical support in addition to the broad array of other basic features. DaCast platform has plans suitable for broadcasters as well as enterprises. It is also considered to be one of the most affordable live streaming suites (five times cheaper than the Brightcove, for example). UStream. This platform for end-to-end video streaming is a part of IBM Cloud Video Services. Its uniqueness lies in the wide range of digital products, from streaming manager to enterprise content delivery network. Functionality includes HD streaming, cloud transcoding, content management, love polling, user authorization, analytics, webcasting, and automatic archiving among others. Prices range from $99 to $999 monthly, although the service has an option of creating a custom plan based on the particular client’s needs, so you won’t pay for features unnecessary for you. Wowza. Wowza is considered to be an industry leader for VOD services and real-time broadcasting. This platform is truly loaded with the plenty of products for all kinds of live streaming, including highest quality mobile streaming, VR, and 360° videos. Its main products are Wowza Streaming Engine™ and Wowza Streaming Cloud™. The functionality of each of the products has all the features you can think of, from 24/7 support to cache streams and creating catchy previews among dozens of others. That’s why Wowza has been appreciated not only by creators, but other streaming platforms as well, like Contus VPlay described above. Suitable for video streams of any capacity, prices range between $49 and $65 for basic features. Free trial available. Programming languages for mobile app: Swift (for iOS), Kotlin/Java (for Android). Data management systems: Atlas-DB, Cassandra, MySQL, Oracle, PostgreSQL. Cloud platforms: Amazon EC2, Amazon S3. Analytics and insights: Google Mobile App Analytics, Flurry Analytics, Hadoop, Hive, MixPanel, Localytics, Mode, Parquet, Pig, Presto, Spark. Streaming protocols: RTMP, Adobe HTTP Dynamic Streaming, Apple HTTP Live Streaming, M2TS, MPEG-DASH, Microsoft Smooth Streaming, WebRTC, RTSP/RTP. Media formats: MKV, MP4, AVCHD, AVI, DMW, MOV, FLV, WMV, SWF. Geolocation: Google Maps API, MapKit/Core Location frameworks (for iOS). Messaging: Firebase, SendBird, PubNub, Twilio. When the journey of creating an app is close to its start, there seem to be no wrong choices in terms of technologies. However, after tasting the waters you see that the constantly evolving world of IT makes it hard to keep up with. Such aspects as app’s feature set, UI/UX design, and the technical behind-the-scenes of app’s performance will then define the viability of your application on the market. Having spent years on the market of mobile apps, we came to the ultimate recommendation to all the people out there wanting to release a useful mobile application — don’t be afraid to delegate some of the working processes to the corresponding professionals in the field. Regardless of skills and qualifications, a single person rarely can create a digital product appreciated by thousands of other people. As they say, talent wins games, teamwork wins championships. At IDAP, we back our talented staff with smooth-running teamwork resulting in best-in-class mobile solutions. Click here to start the collaboration that will have all the odds to change the market of mobile apps once for all.